First EXACT Certified Operator in the Northeast United States! Wyvern, the global leader in aviation risk management and safety has been providing independent and third-party aviation safety audits for over 25 years. After introducing many new data-driven products and services over the past years, Wyvern created the Exact Standard for UAS Operators. Exact is not just a single safety audit, but an ongoing relationship with Wyvern that involves continuous monitoring of our operation and constant feedback on the industry's latest and greatest safety practices. As the northeastern United States' first, and currently only, "Exact certified" operation, we can not only claim we strive to be the best, but we can prove it! As an Exact certified operator, our company, management team, pilots, maintenance personnel, and other involved crew members, have undergone an intense two-day safety audit that followed rigorous guidelines for approval. This two-day audit was the culmination of a months long process to get Cinematic Aerospace Wyvern ready. 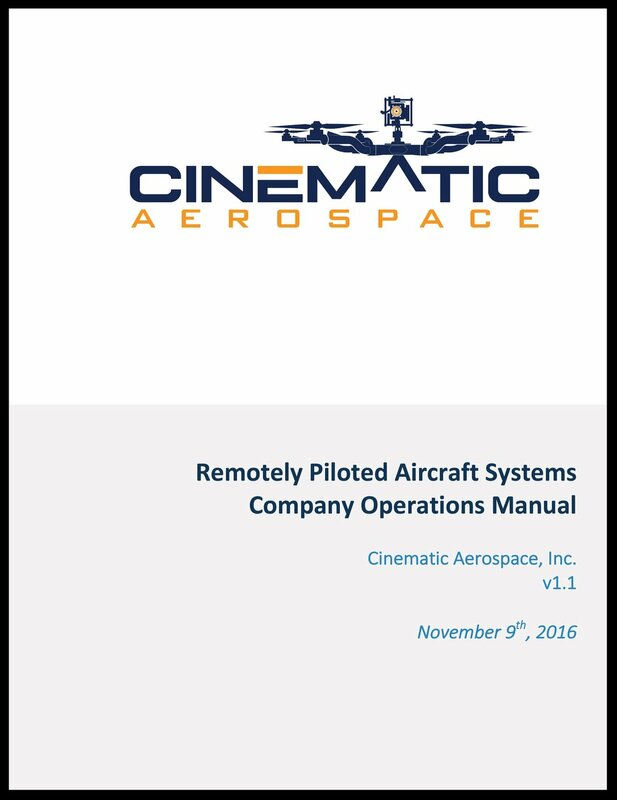 This involved revising our Standard Operating Procedures manual to fit Wyvern and ICAO standards, collecting records of our experience and flight time, and researching new best practices for top-notch safety on UAS operations. The two-day safety audit, conducted by a senior member of Wyvern's risk management audit team, consisted of a review of our Standard Operating Procedure, company records, company facilities, aircraft and insurance records, and a phone interview with our management. The resulting conclusion of this entire process has been documented in our Wyvern Exact Standards Audit Report, dated October 2016. This report details the process and well as the approval outcome for Cinematic Aerospace as well as some information about the actual standards we are now held to. Failing to adhere to our approved Standard Operating Procedure, or any of the Exact standards will result in an immediate revocation of our certified status. 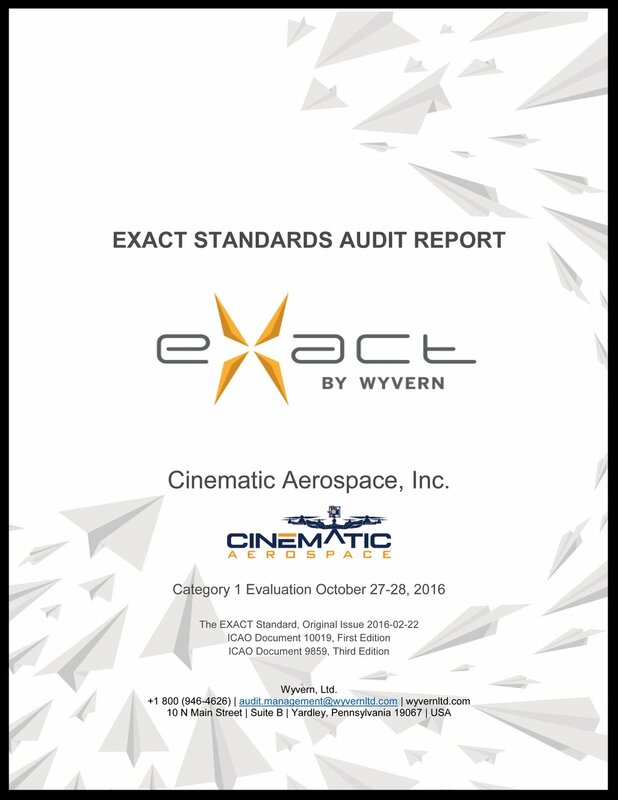 The Exact Standards Audit Report for Cinematic Aerospace can be viewed below, as well as a sample of our Standard Operating Procedures. Wyvern can always be contacted directly as well, to verify the status of our certification.